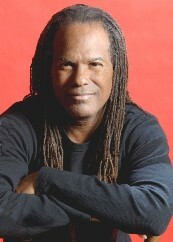 Dr. Michael Beckwith’s life is a living testament to building spiritual community. In the 1970’s he began an inward journey into the teachings of East and West, and today teaches universal truth principles found in the New Thought-Ancient Wisdom tradition of spirituality. Gifted with a vision of a trans-denominational spiritual community, in 1986 he founded the Agape International Spiritual Center upon his faith in that original vision. In a personal letter to him Coretta Scott King wrote, "I greatly admire what you are doing to bring about the Beloved Community, which is certainly what my dear husband worked for and ultimately gave his life." Recently described in “What Is Enlightenment?” magazine as a "non-aligned trans-religious progressive," Dr. Beckwith shares his powerful conviction of creating the Beloved Community through his participation on international panels with other peacemakers and spiritual leaders including Dr. T. Ariyarante of Sri Lanka, and Arun Gandhi, grandson of Mohandas K. Gandhi. He is co-founder of the Association for Global Thought, an organization dedicated to planetary healing and transformation. 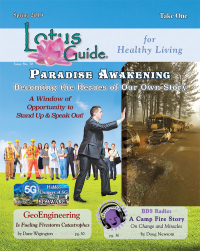 Dr. Beckwith is the originator of the Life Visioning Process, which he teaches throughout the country along with meditation, scientific prayer, and the spiritual benefits of selfless service. He facilitates retreats, workshops and seminars. His books include: “Inspirations of the Heart”, “Forty Day Mind Fast Soul Feast”, and “A Manifesto of Peace”. Dr. Beckwith’s achievement as a humanitarian and emissary of peace have been widely acclaimed. In 2003, his activities were enumerated when he was written into the Congressional Record of the 107th congress. He is the recipient of numerous humanitarian awards, some of which include: The 2004 Africa Peace Award, Thomas Kilgore Prophetic Witness Award, Howard Thurman Stained Glass Window Award by Morehouse College, a commissioned oil portrait for Morehouse’s prestigious Hall of preachers, and the Humanitarian Award of the National Conference for Compassion and Justice. Thousands gather weekly to receive inspiration from Dr. Beckwith at the Agape International Spiritual Center in Culver City, California. Together, Drs. Michael Beckwith and Rickie Byars Beckwith have written lyrics and music performed by the Agape International Choir in concert venues worldwide. Always in demand, their performances inspire peace and goodwill in the global community. They share their lives with their four adult children and six grandchildren. I love your BBS radio and all the interesting viewpoints you give a voice to.